The new Tekna® CLUB saddles were developed for the dedicated rider on a budget. The latex/wool flocking eliminates lumps and bumps, and can still be reflocked in the traditional manner for a customized fit to your horse. Features the new QUIK-CHANGE ® Gullet System, changing the width of the tree is only four fasteners away! Comes with a medium gullet plate installed and gullet plate sizes Narrow, Medium, Medium/Wide, Wide, and Extra Wide are available for purchase (item# 468522). 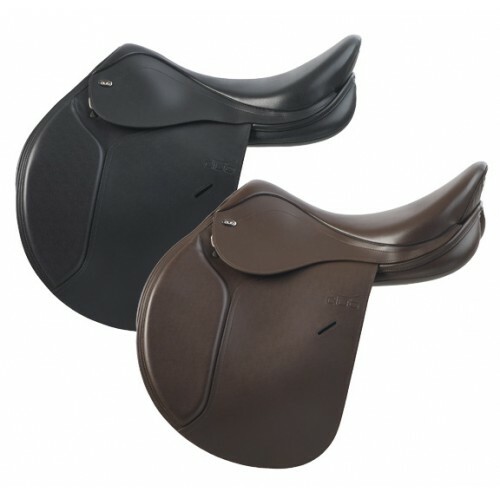 Made of anti-mold and abrasion resistant QUICK-CLEAN™ material which keeps the saddle looking new with minimal care.